Q. 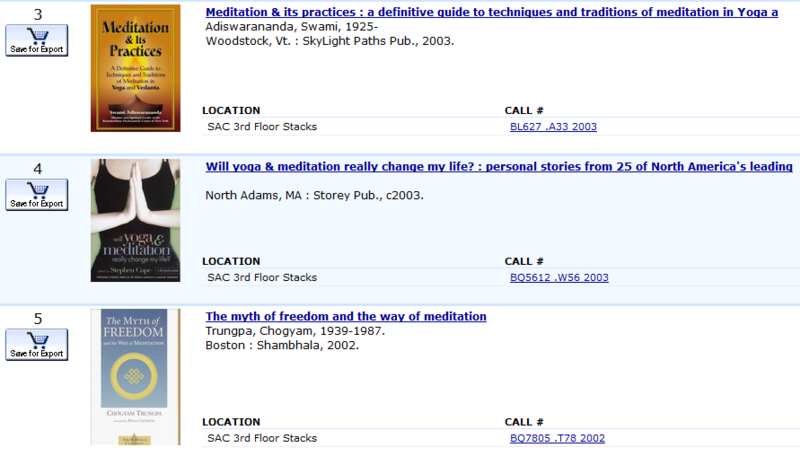 Do you have books on meditation? Click on an item for more detail and then text yourself the location and call number.